Have you ever had lunch with someone who puts their smartphone on the table, face up, next to their silverware? When the phone lights up to display an alert – any alert – their eyes break from yours and their attention is stolen by the device. It doesn’t matter if it’s an urgent call or just their turn at Letterpress, this person has made a statement: In this moment, I am not willing to give you my full attention and I’m going to keep myself open to distraction. If you were doing this during a first date, there is no way you’d get a second. 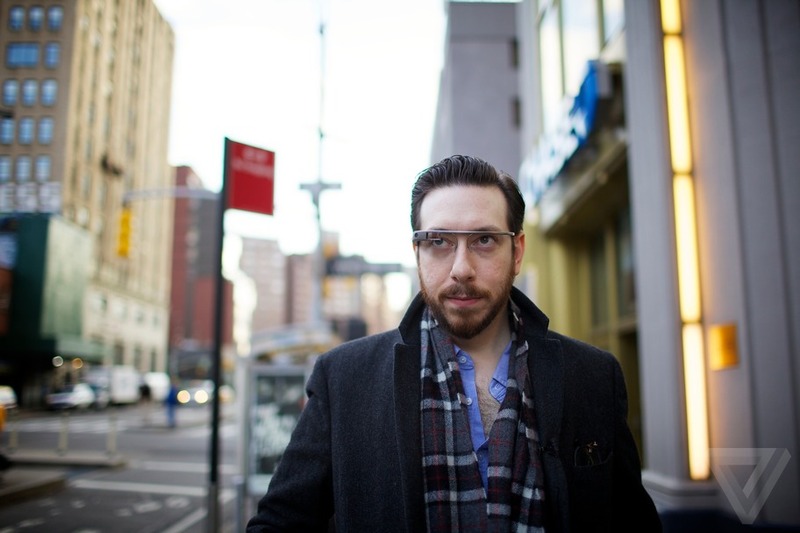 One of my questions about Google Glass seems to have been answered by Joshua Topolsky’s recent hands-on experience with the product. Can people see you looking at the Glass screen? It’s not covered by the article so I could be wrong, but the direction of Joshua’s eyes in that photo seem to show the answer. With a glance like that, a person sitting across the table from you would have no problem noticing that you were checking your email instead of listening to them. Glass has a mission to get “out of your way when you’re not interacting with technology”. I don’t understand how moving the location of the screen from the table to your face makes an interruption less rude. I have high hopes for the future of wearable technology. I love my Fitbit. An Apple “smartwatch” sounds amazing. I think the anxiety caused by the alien-like aesthetic of Google Glass will disappear over time. But it’s impossible, at least with current technology, to engineer around human impoliteness. Thanks to Chris Clark for his feedback on drafts of this post.